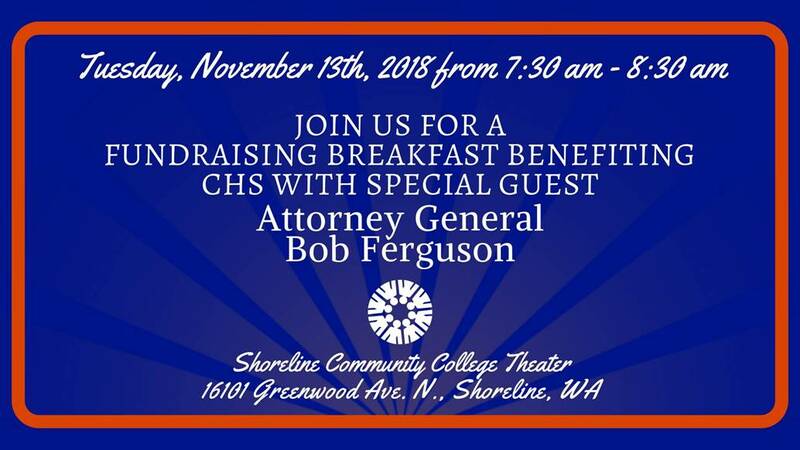 Center for Human Services invites you to a fundraising breakfast on Tuesday morning, November 13, 2018 at the Shoreline Community College Theatre. Center for Human Services is a community‐based nonprofit youth and family services agency that has been a resource to children, youth, adults and families since 1970. Your ongoing support is vital to our success and we want to share with you our current successes and goals for 2019 and beyond. Executive Director, Beratta Gomillion will share some exciting developments about our programs and services, and ask you to be a part of our journey. 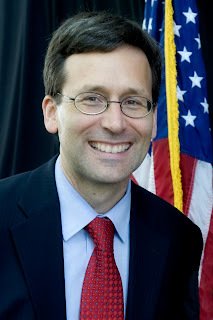 Featured Guest, Washington State Attorney General Bob Ferguson, has been a champion of CHS for many years. As the state’s chief legal officer, Bob is committed to protecting the people of Washington against powerful interests that don’t play by the rules. Although this is being presented free of charge thanks to event sponsors, please preregister so organizers know how much to prepare. Space is limited! This is a fundraising benefit to support the services provided by Center for Human Services in our community. Although donations of any size will be appreciated, we hope to raise at least an average of $100 per attendee. If you are unable to attend, you can still donate! Please visit HERE and click the link for Online Donation Form. PS – SAVE THE DATE! CHS Annual Gala and Auction will be on Saturday, April 13, 2019 at the Lynnwood Convention Center.